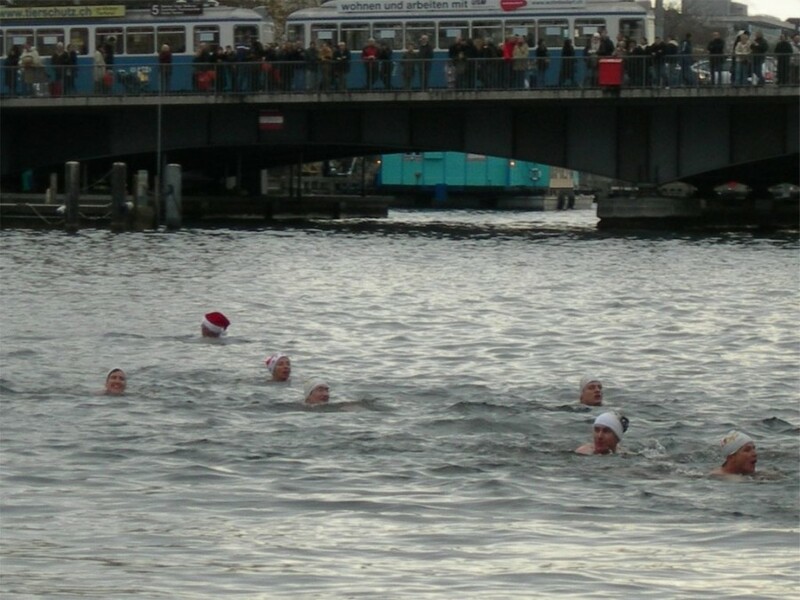 Samichlaus Schwimmen - Time for a nice cup of tea? Just GREAT!! ... and I thought I was brave, when I went to the open-air pool in May and September, when it is still (or already) 14 C in the morning. That´s just nothing against what you did yesterday! Isn´t that a "cool" feeling, when the body starts prickeling? !